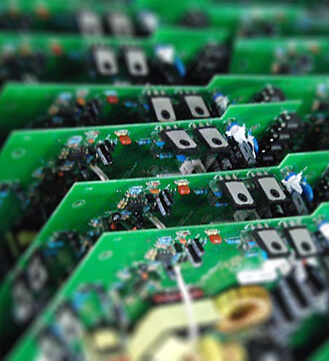 Complex electronics are required to be tested at multiple levels to ensure conformance to specifications, correct functionality and adherence to quality thereby assuring reliable performance of the discrete component as well as the entire system. Some tests can only be done at a basic level, where faults and failures of external components can be simulated, while some other tests require accessibility to other elements of the system in order to accurately appreciate full system functionality. These tests are to be undertaken as per laid down national and international norms. Pacific Reliability Testing Laboratory, a division of Pacific Mechatronics Pvt Ltd, has in-house facilities, created over a period of time, for testing of various products. These equipment, jigs, fixtures and test stands have either been procured from reputed internationally acclaimed sources or have been developed in-house to cater for specific applications. Dedicated and qualified specialist trained over a period of time carry out these tests in compliance with generic as well as military standards like MIL/JSS 55555, MIL 19500, MIL 883, MIL 810, MIL 461 etc. PRTL ensures that all components, sub-systems / systems are meticulously subjected to the required tests. The test records and results are scrupulously curated. In cases of military and aerospace equipment, tests are undertaken in the presence of customer’s inspectors as stipulated in the Quality Assurance Plans.